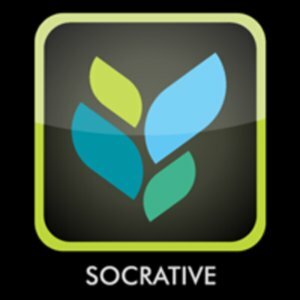 Socrative is an app for the iPad that turns the iPad into a instant responder. Socrative is a quiz/questioning tool that works great (and its free and already installed at BVMS!) With Socrative, the students use the iPads to answer questions either informally or formally (graded). With socrative, the teacher makes an account for themselves, which they will use to control their students. After setting up the account, Socrative will give the teacher a "room number" which the students will use when they log into the Socrative app on the iPad. From here, everything is controled by the teacher. The teacher can have all results emailed to themselves to keep, enter into gradebook, etc. **Take the "pulse" of the class by asking a single question and getting immediate response. Example: "Who understands the layout of the Manor System?" (Socrative responses show only have the class understands, so the teacher would know to not move on, but to cover it again). **Students do NOT see each other's responses. **Multiple choice, T/F, short response.